Jan Esselman (Netherlands), who had served since 2005 as the Chair of the Technical Commission, is the new President of the Confederation of European Baseball (CEB). Esselman won the election(15 to 7, 6 votes were invalid) against Vojco Korosec of Slovenia, the country that hosted the Congress in Bled. After Massimo Fochi of Italy and Angelo Vicini of San Marino withdrew their candidatures, Peter Kurz (Israel) became the 1st Vice President. 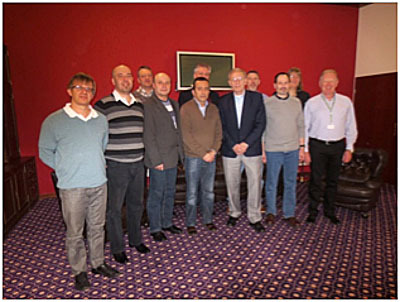 Juergen Elsishans of Germany was elected 2nd Vice President over (14 votes to 12, 2 invalid) Alexander Ratner of Russia. Petr Ditrich, who had been acting President for the last 11 months, after elected President Miller resigned, becomes the 3rd Vice President with 20 votes over Rod Moore of Denmark (4). René Laforce (Belgium) was confirmed unopposed as the organization Treasurer. He had presented a 2012 accounting with an advance over 28,000 euros and is hopeful that CEB can breakeven also at the end of 2013. Xavier Mateu of Spain is the new Secretary General. After Mario De Bono of Malta withdrew, he also won unopposed. Matts Franson (Sweden), Michael Manning (Ireland), Didier Seminet (France), Monique Schmidt (Switzerland) and Valentinas Bobulis (Lithuania) are the five members at large.